Series 5 of the Fourth Doctor audio adventures continue to please in this delightfully wide-ranging romp. Warning: The Pursuit of History is very much a Part 1 of 2, ending on an ominous cliff-hanger (followed by The Casualties of Time, out this month). It’s ALSO a continuation of the Conglomerate story arc beginning in series 2 with Sands of Life that spanned a further three adventures before getting to The Pursuit of History. This story begins with gusto and manages to tie seemingly disparate and intriguing scenarios together. And it does it satisfyingly. Lalla and Tom have really settled back into their roles and Tom seems to have got back his full range, dipping into more serious and urgent tones when the story requires – it feels very much like 1979! 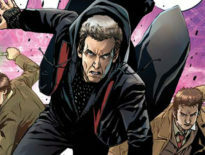 The supporting cast include some fantastic British talent, two of whom have starred in Doctor Who onscreen – David Warner (Series 7’s Cold War) who has done a lot of Big Finish including starring as an alternative Doctor in the Unbound range, reprises his role as Cuthbert. To give you a little background, he’s human, the CEO of the largest galactic corporation there is and he’s up to no good. A note of caution: if you go searching online there’s another “Cuthbert” you might come across from the BBC novel, The Banquo Legacy who was a Time Lord – this is not that Cuthbert! We also have the wonderful David Troughton (The Curse of Peladon), son of the Second Doctor, starring as Mr Edge. The lovely Toby Hadoke, award winning stand up comedian known for his one-man show, Moths Ate my Doctor Who Scarf, actor and Doctor Who expert, as Mr Dorrick. There are strong performances all round and nothing to fault here really. One thing that I particularly enjoyed was the opening scene with Romana where she and K-9 find a large outdoor space deep in the TARDIS. Unless I’m misremembering, this is the sort of thing that only really started to happen in the novels after the Classic series bowed out of existence. It’s one of those lovely insertions of something more contemporary into a Classic era setting and works perfectly. Another moment that gave me that twinge of cosmic angst that only Doctor Who can involved audio flash-backs to the much missed Mary Tamm who reprised her role as the first incarnation of Romana back in Series 2 of The Fourth Doctor Adventures. Hearing her and Lalla Ward’s voices in the same setting gives a real sense of being embedded in the era and reminds you of who’s ability to live and breathe its own mythology. 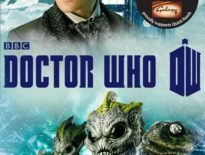 The long and the short of it: This is fun, compelling and plays to writer Nick Brigg’s strengths of complex plotting that draws you in and recreates Classic Who in a more contemporary image. The feel of the era is wonderfully re-created, particularly by the regular cast. Be aware this is a Part 1 of 2 and ends on a cliff-hanger. There is an arc that this continues from Series 2 but you can enjoy it just as well without the backstory. Recommended. 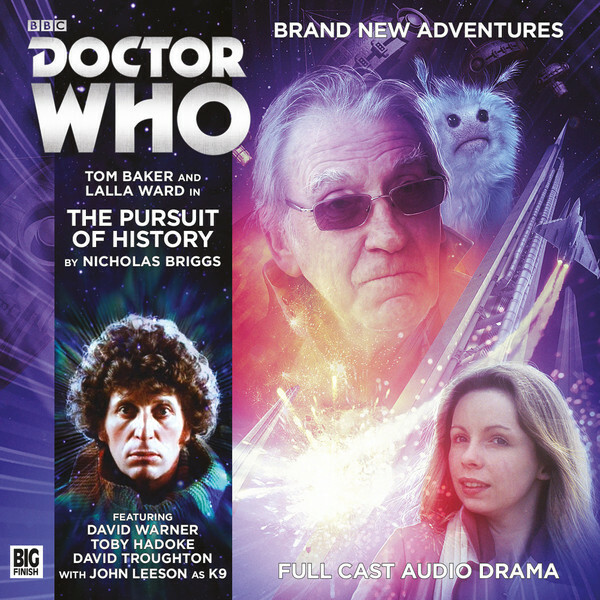 Doctor Who – The Fourth Doctor Adventures: The Pursuit of History is available now on CD for £10.99 and Download for £8.99 from Big Finish. ← Should the Paternoster Gang Return?